Get a quick review of the most common sealants — plus a few uncommon options — for sealing up holes big and small. 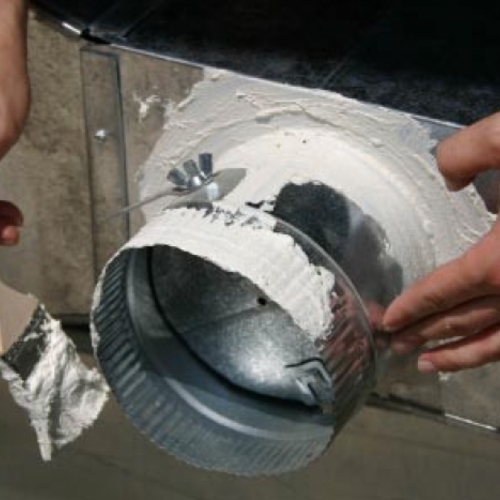 When air-sealing an attic, you’re going to need a whole array of different products, both for caulking and sealing as well as for blocking off big air leaks. Here’s what I use. Good-quality caulking can be something like a painter’s caulk, as long as it stays pliable over time. Another is fire-blocking caulk. This is fire-resistant and used around masonry, fireplaces and hot exhaust pipes from heating appliances. Spray foam is good for filling medium to large gaps. This is a professional-style gun. You can also use some of the single-use cans that you find at a home center. You’ll need tapes for sealing joints in hard products like drywall and rigid foam — housewrap tape or aluminum-faced acrylic tape. Going up against masonry fireplaces, or filling gaps anyplace that is hot, you’re going to need pieces of metal—even recycled drip edge, like I have here. 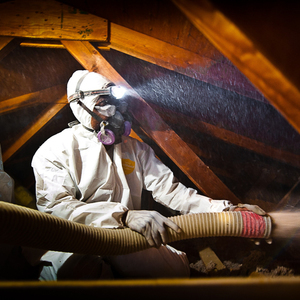 Working in an attic, you’re going to be dealing with dust, so a good-quality dust mask is useful. To fill big holes in rigid products, like a soffit that goes up into an attic, I used rigid foam panels. They give you insulation and also block the air. 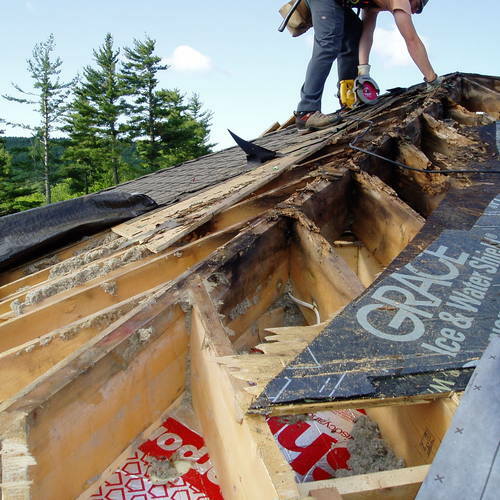 Even leftover pieces of drywall or plywood or OSB will work as well. 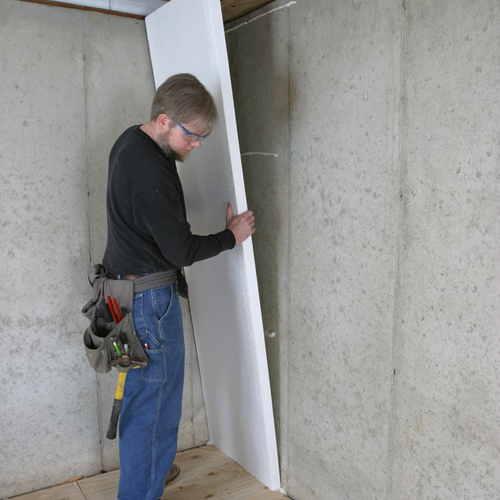 One product you don’t see too much in residential construction is acoustical sealant. It usually comes in large tubes and is not very expensive. It works really well because it doesn’t really harden over time; it just skims over and remains very pliable. Whatever it sticks to, it maintains its seal over the long term. Whenever you’re working with these sticky products, you’re going to want to wear rubber gloves so that you don’t get all crudded up and spend hours cleaning yourself. Regular latex gloves will break down really fast when exposed to the kind of solvents used in a lot of the glues, caulking and compounds mentioned in this article/video. Not only that but latex is actually somewhat porous while it does keep biohazards at bay it doesn't seal against many chemical compounds as they are often much smaller particles. For disposable gloves that will hold up better, and protect you from the effects of harsh solvents and other chemicals Nitrile gloves are the way to go. 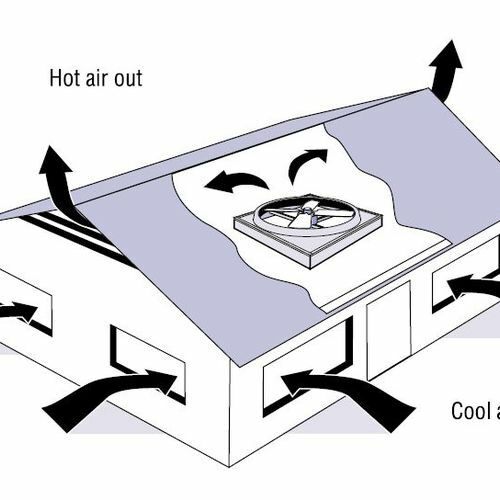 The added value of the foam is great breaking the thermal bridge of the framing between the interior and unconditioned air space. Consider the existing wall to be a 2x4 with an R-11 to R-13 batt the foam really bumps the thermal performance considerably. This wall is akin to an attic floor in terms of heat loss to this space. An alternate method I have used is to air seal the back side of the kneewall just as you detail the attic floor ceiling system. 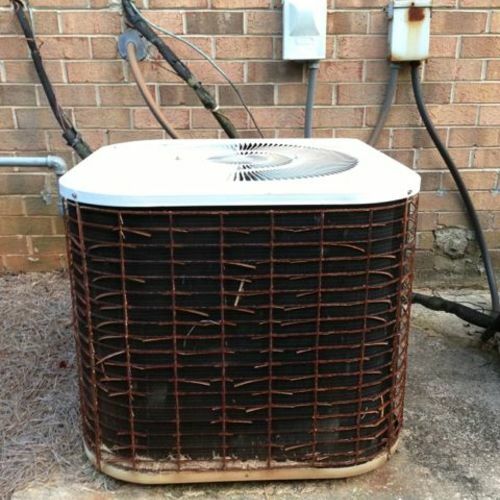 Replace any insulation you may have removed. Then roll out a 8" or thicker faced batt and cut the facing staple tab off on one side . Roll the batt out in the attic and mount it perpendicular to the studs with facing to the studs. Staple through the remaining tab to hold the batt in place. The tab serves as suspenders holding the batt to the wall. Repeat as needed covering the entire knee wall. An air barrier can be installed. Cut a strip of air barrier the length of the wall and two feet wide and staple it to the sole plate of the knee wall. Install the fiberglass batting as above. run from the knee wall bottom plate. After the insulation has been installed attach a 1x3 or 4 to the underside of the rafters to the exterior of the knee wall. Cut and staple a house wrap air barrier to the 1x and drape to the floor. Tape the section from the sole plate to the drape. Make it snug the insulation a little bit to assure no voids. Detail the edges and" Viola" good levels of insulation and good performance of insulation. You are right on with Nitrile gloves. I made the error of saying 'rubber gloves' when I should have been specific and said 'Nitrile' which I had on. 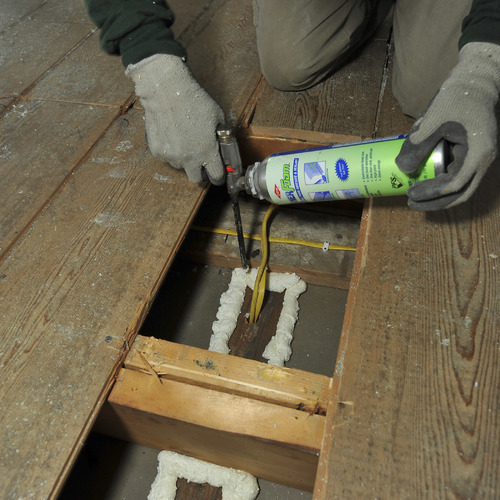 Mike, I recently used the Tremco acoustical sealant for air sealing in my attic. The sealant has quite the toxic smell that lessons gradually over a 2 week period. It certainly does work well as an air barrier, but it bears noting that it seriously impacts indoor air for a period of time.